LONDON (Reuters) - HSBC is stepping up a root-and-branch overhaul of its global banking and markets division, naming 83 new managing directors in a 1,300-strong promotions spree aimed at revitalising its investment banking franchise. After another year of underwhelming performance in 2018, HSBC's management team - bolstered by new finance chief and ex-investment banker Ewen Stevenson - are plotting a push to recover ground lost to rivals, with a revamp of its trading floor seen as top priority, sources close to HSBC said. 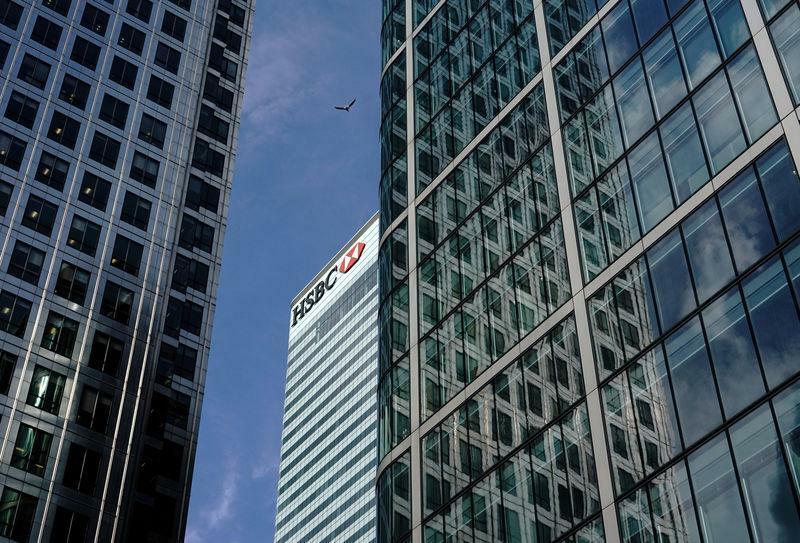 36 of the promotions are in HSBC's global banking business, which includes its mergers and acquisitions and equity advisory bankers. Revenues there fell 20 percent from a year earlier, the second worst performance among major investment banks after France's BNP Paribas. Investors are pinning their hopes on Georges Elhedery to improve productivity and lift the mood in the bank's global markets business, after he took over the division from caretaker boss Thierry Roland on Friday. Nathalie Safar, one of the investment bank's most senior women, is leaving her position as global equities chief operating officer after eight years in the role, a second staff memo seen by Reuters showed. She will take up a newly-created position of head of front to back resource and cost management, focussing on making savings that will fund investments in the bank's growth areas.